Planet Salem: the international Salem Al Fakir fansite! 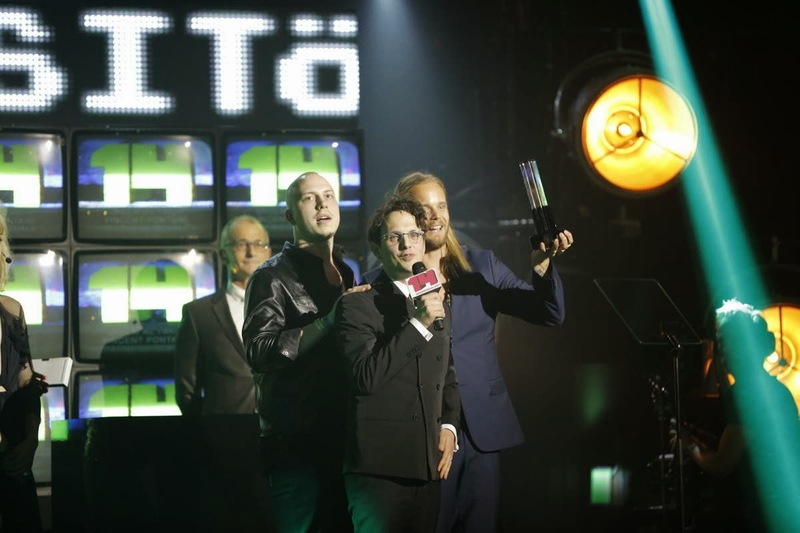 : Grattis Salem - another Swedish Grammis win! Grattis Salem - another Swedish Grammis win! It seems so long now since Salem won any awards at the annual Swedish Grammis, so I'm very happy to report some good news tonight. Salem, Vincent Pontare and Magnus Lidehäll - the songwriting team behind last year's albums by Petter and Veronica Maggio - deservedly picked up the 'best composer' award at Wednesday night's Grammisgalan. Congratulations once again Salem, and it's good to know that your career as a songwriter for other artists continues to go from strength to strength! Above: Salem, Vincent and Magnus celebrate. Picture courtesy of Aftonbladet.